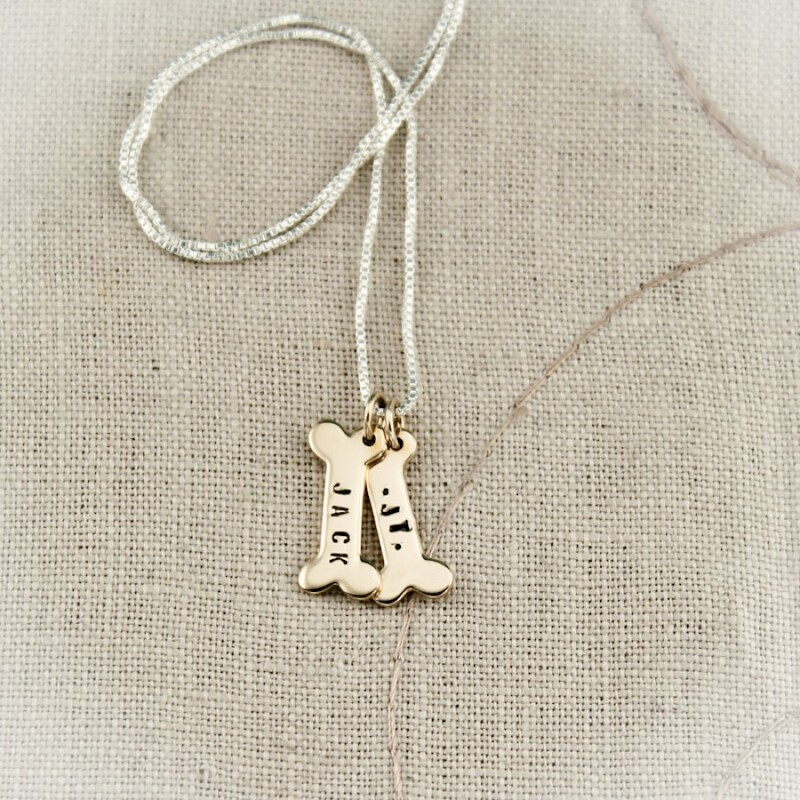 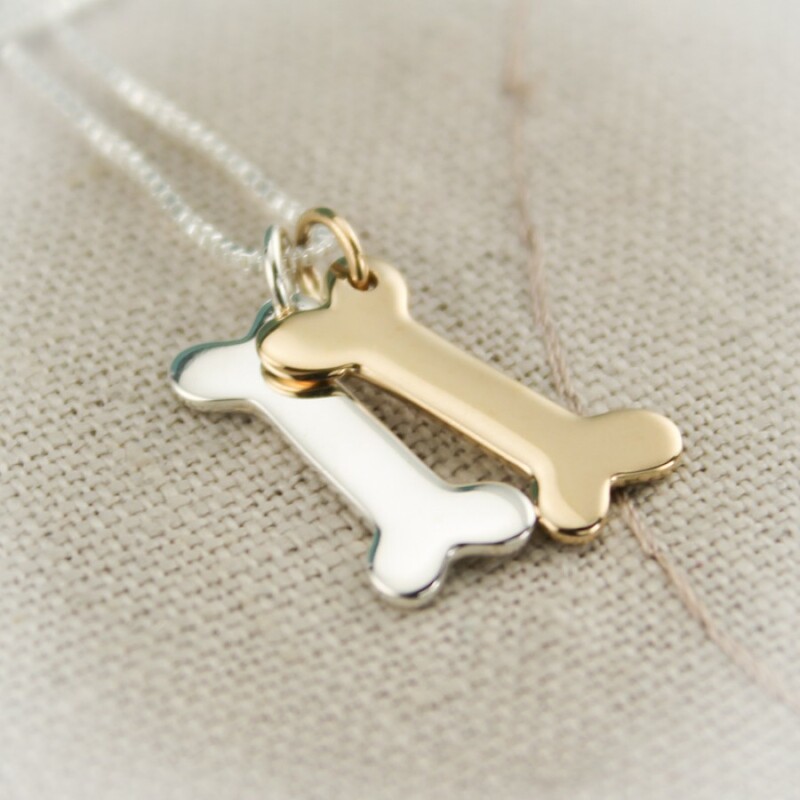 Celebrate your furry companions that love you unconditionally and keep them close to your heart with this dog bone charm necklace. 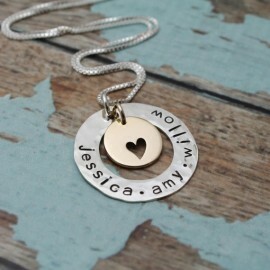 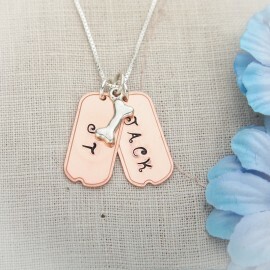 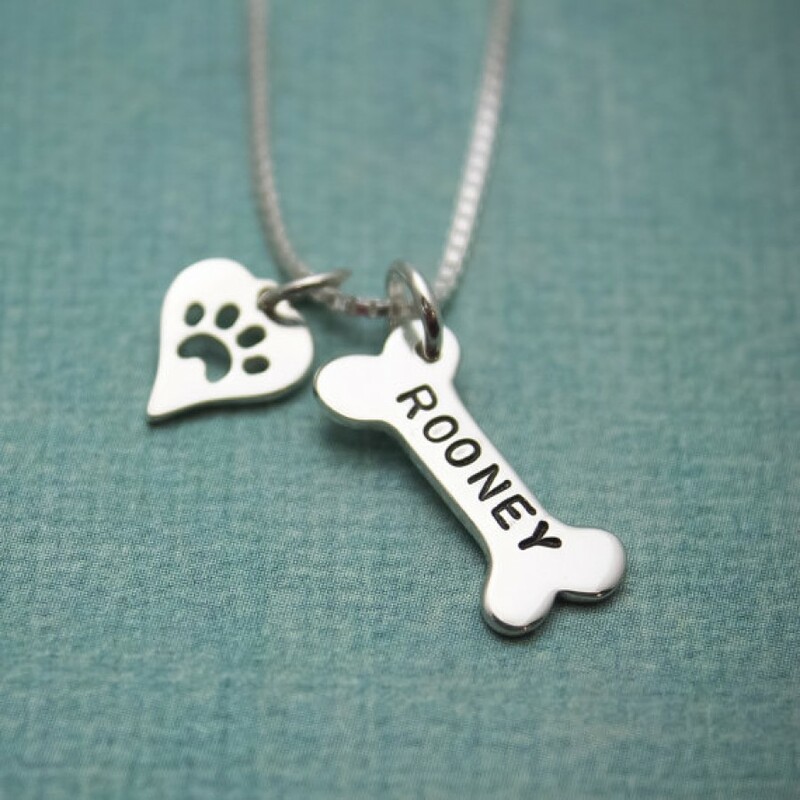 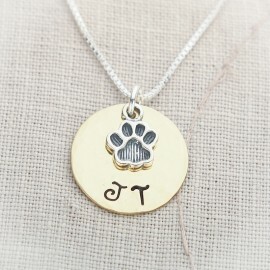 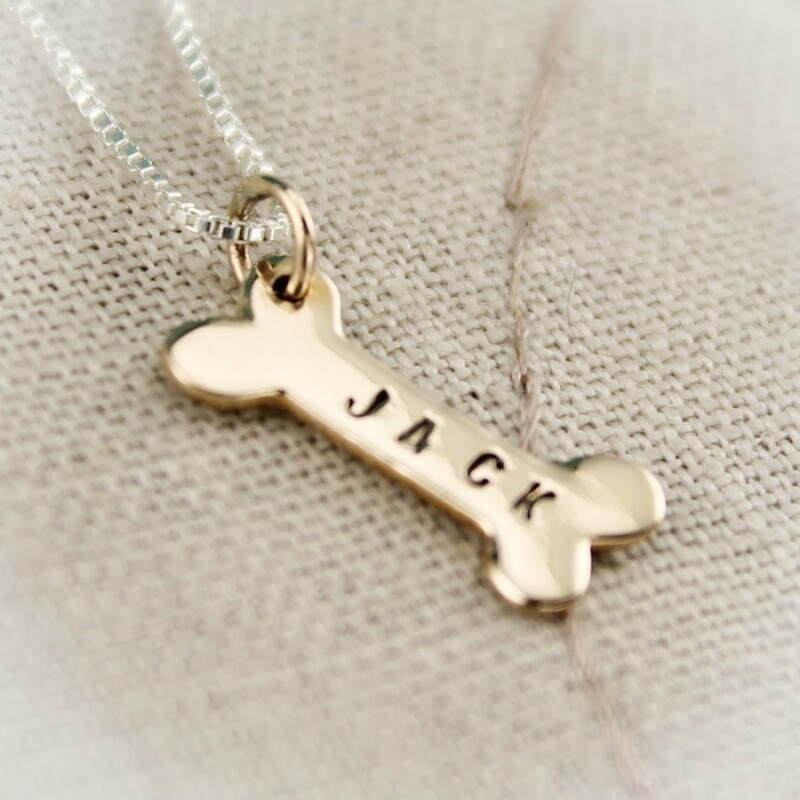 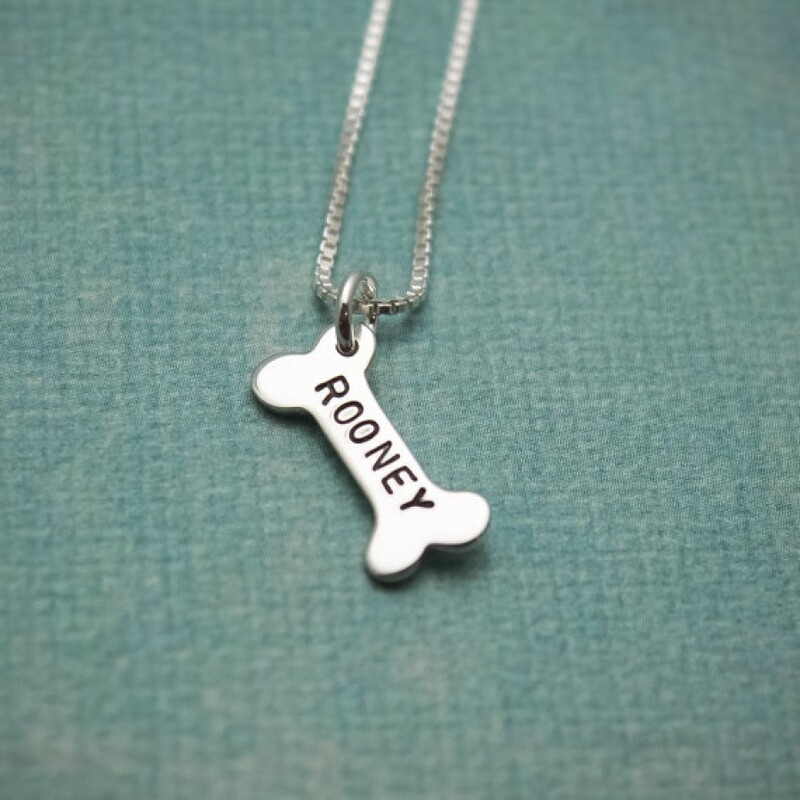 Each bone can be hand stamped with the name of your dog (9 characters max). 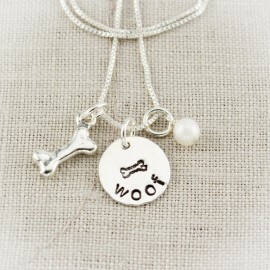 Price includes 1 bone but more can be added. 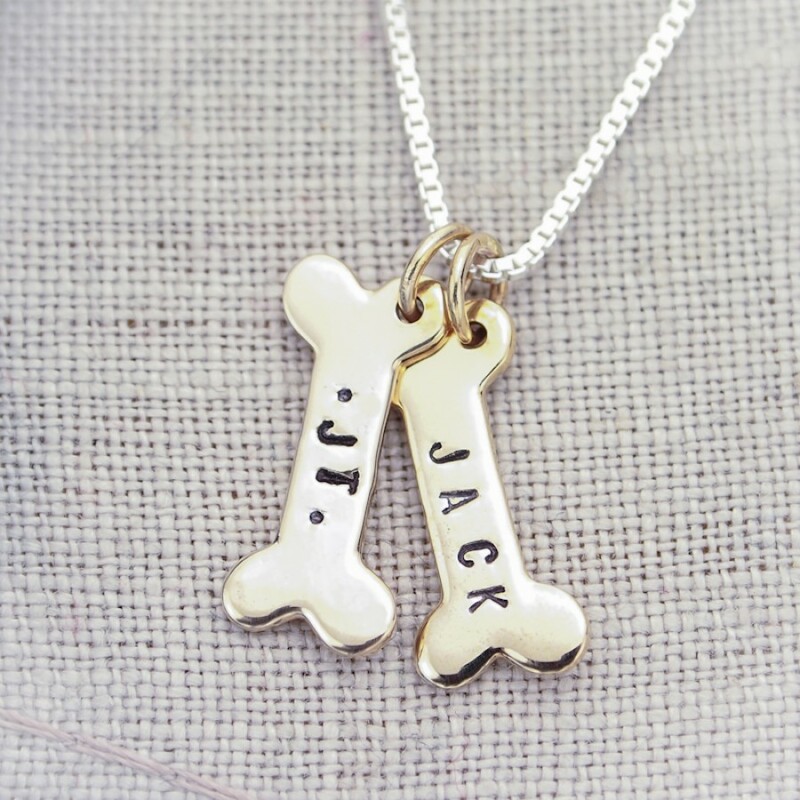 The dog bones are .67" long and .31" wide and made from natural bronze or sterling silver. 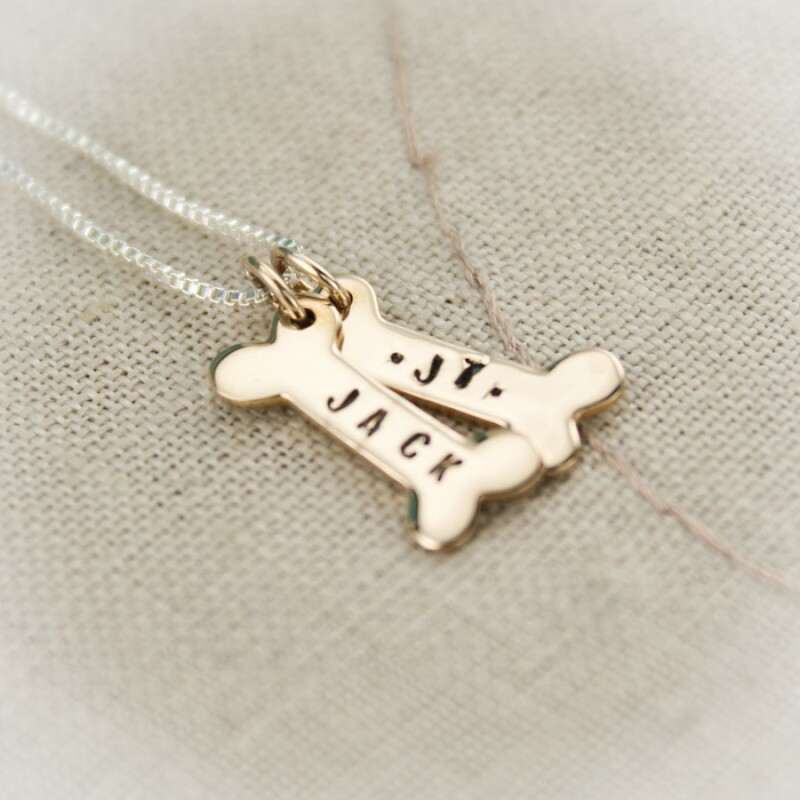 Each bone is attached to a 5mm soldered jump ring.